Islamabad [Pakistan], May 12 : The April meeting between Pakistan Prime Minister Nawaz Sharif and Indian tycoon Sajjan Jindal was "a part of a back-channel diplomacy", Pakistan's civil leadership informed the Army officials. According to Geo News, Prime Minister Nawaz, during one of his recent meetings with Chief of Army Staff (COAS) Gen. Qamar Bajwa, had taken the latter into confidence over Jindal's visit to Pakistan. Jindal went to Pakistan to reduce tension between the two neighbouring countries, Geo News quoted a BBC Urdu report, as saying. The report also stated that COAS Bajwa also took his officials into confidence over the matter. 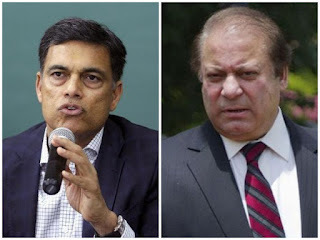 Earlier in April, businessman and entrepreneur Sajjan Jindal made a visit to Pakistan and met Nawaz Sharif. Sajjan Jindal, along with other businessmen, met PM Nawaz Sharif in Murree. The meeting came at a time when the two neighbouring nations were going through turbulent times.